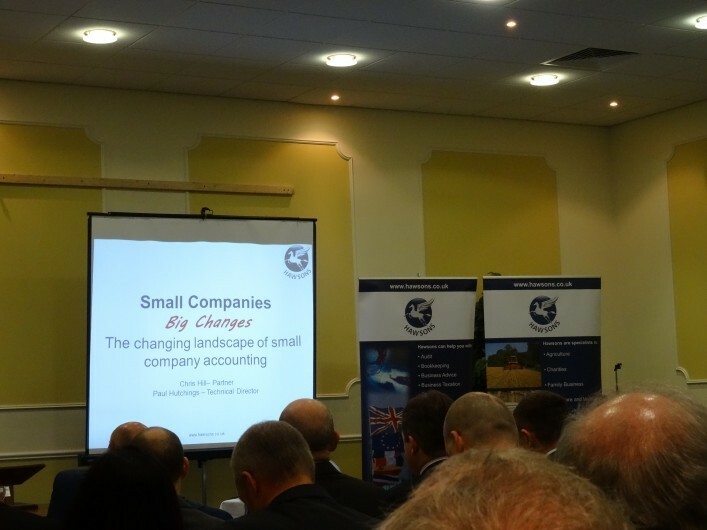 Are you ready for the changing landscape of small company accounting? Over the next year or so the statutory accounts that small companies have to prepare and send to Companies House are changing because of revisions to the Companies Act and some connected changes to UK Accounting Standards. The combined rules are often referred to as UK GAAP – Generally Accepted Accounting Principles. Smaller limited companies (known as ‘micro-entities’) will often be able to choose between two versions of UK GAAP, one of which is considerably simpler than the other. However, companies which are ‘small’ but not small enough to be micro-entities will not be able to take advantage of this option. In this article we describe and explain what the options are for small company accounting and would be very happy to discuss which of these options would be most appropriate for your circumstances. For periods beginning on or after 1 January 2016, the contents of small UK companies’ published accounts change. The contents of the actual profit and loss account and balance sheet are virtually unchanged but the number of notes to the accounts will generally be reduced, and all the notes, including related party transactions, will be filed at Companies House. Currently a filing option known as abbreviated accounts is available. This involves filing only a balance sheet and some of the notes to the accounts. Abbreviated accounts are abolished in the new framework. Instead, the accounts prepared for filing will be required to be the same as those prepared for the members. Small companies will continue to be able to choose not to file their profit and loss account and/or directors’ report, but the amount of information disclosed on the public record will increase in many cases. A company needs to meet two out of three of the above criteria for two consecutive years to qualify as a small company, unless it is the first year of the company’s existence, in which case only that year has to be considered. Investment properties have to be revalued every year to what they are worth at the balance sheet date. These are properties held for their investment potential rather than being used in the business. Forward foreign currency contracts require restatement to their value at the balance sheet date. This value may depend upon changes in exchange rates. Loans payable or receivable (for example to or from a director) more than one year after the balance sheet date. If, as is frequently the case, such loans are not using a market rate of interest, their value has to be established at every balance sheet date. The downside of these are time, expense and the potential limited value to owner-managers. There is an option for earlier adoption of these changes and we would be pleased to discuss this possibility with you. There is also a new standard called FRS 105 (The Financial Reporting Standard applicable to the micro-entities regime). The standard refers to the option being available from periods beginning 1 January 2016 but it is possible to adopt this new standard immediately, if it is in the company’s interest to do so. A similar approach to the criteria applies as for the small company regime. A company needs to meet two out of three of the above criteria for two consecutive years to qualify as a micro-entity. An interesting feature is that where a company has previously revalued an asset such as land and buildings, it can use the original historic cost rather than the current value, when considering whether it meets the balance sheet criteria. The accounts of a micro-entity are considerably shorter and simpler than those otherwise required by UK GAAP for a small company. The profit and loss account and balance sheet include less detail. For example current assets are shown in aggregated total on the balance sheet rather than being analysed into stocks, debtors and cash. Only two notes to the accounts have to be prepared instead of the rather larger number for a small company not using or not able to use the micro-entities regime. Guarantees and other financial commitments. These notes will be filed at Companies House together with the balance sheet. The profit and loss account does not need to be filed. If there is no relevant detail on either of these two areas then clearly the note would not be needed. Earlier we referred to new UK GAAP requiring certain assets and liabilities having to be revalued each year and suggested that doing this may be expensive and of limited use to owner-managers. Companies using the micro-entity option have no requirement to value assets and liabilities and in fact are prohibited from doing so. In addition, a company using the micro-entity regime is not allowed to provide for deferred tax. Deferred tax is tax probably payable at a future date but which has been deferred by, for example, tax benefits resulting from investing in fixed assets. Many entities currently derive significant tax cash flow benefits from the acceleration of capital allowances such as the Annual Investment Allowance. Of course, the non-inclusion of deferred tax in the financial accounts does not mean the likelihood of this tax being payable at a future date should be ignored. Is the micro-entity option suitable for all qualifying companies? The option will not be appropriate for every company which qualifies to use it and we can advise you on whether it is an option that you should consider and/or use for the preparation of your accounts. For example FRS 105 allows no choice of accounting policies whereas some companies may benefit from a particular choice. An example of this would be that some companies in particular circumstances can obtain government grants. FRS 105 allows only one method of accounting for these whilst a small company not using FRS 105 may be able to choose between two different methods of accounting. Some users of accounts such as credit reference agencies and anyone lending money to the company may be unhappy at having so little information filed at Companies House (remember the company only has to file a simple balance sheet and two notes). If the company has substantial borrowings which have financed investment properties or land and buildings being used in the business, the accounts may look stronger by using revalued amounts rather than depreciated original cost. The contents of a related party transaction note sometimes include fairly sensitive information and a decision as to whether or not to use the micro-entity option may depend upon whether or not the company wishes to have that note filed at Companies House. Where UK GAAP requires a valuation to be carried out of a property or a financial contract, such valuations will often require the payment of a fee. Use of the micro-entity option would avoid the need for such costs. The contents of micro-entity accounts are almost certainly too limited to be of use for any decision making purpose. We would be happy to discuss with you how we can provide more suitable information to help you run your business more effectively. We are also running free seminars on this topic in Sheffield, Doncaster and Northampton during November 2015. Register for free here.